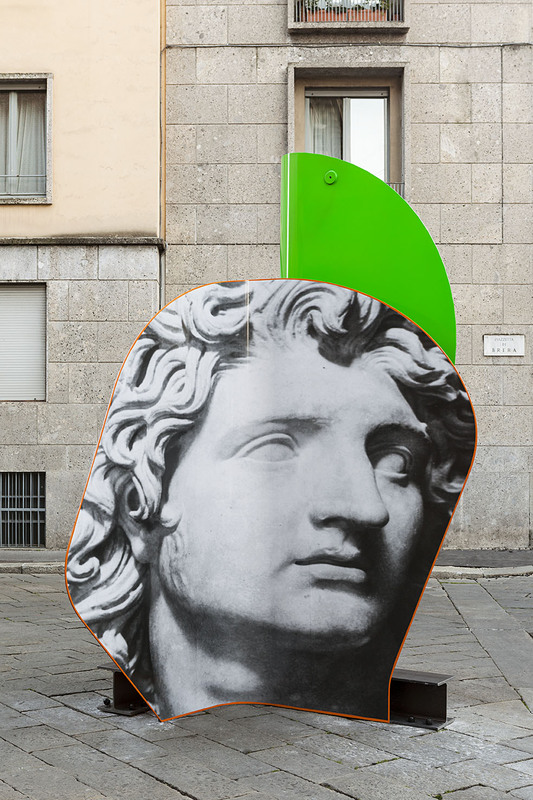 On the occasion of the 2015 edition of miart, the International Modern and Contemporary Art Fair of Milan, Dispari & Dispari Project presents “… Mom, Dad” a new public installation by Patrick Tuttofucoco, which marks the return of the artist to his early participatory practice. 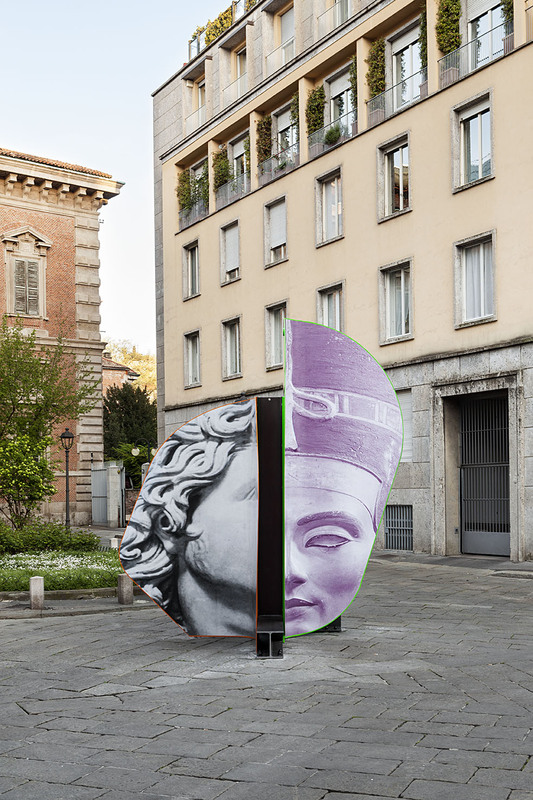 The installation, curated by Nicola Ricciardi, will be inaugurated in Piazzetta Brera on April 11, 2015, and will remain on display throughout the course of the month. 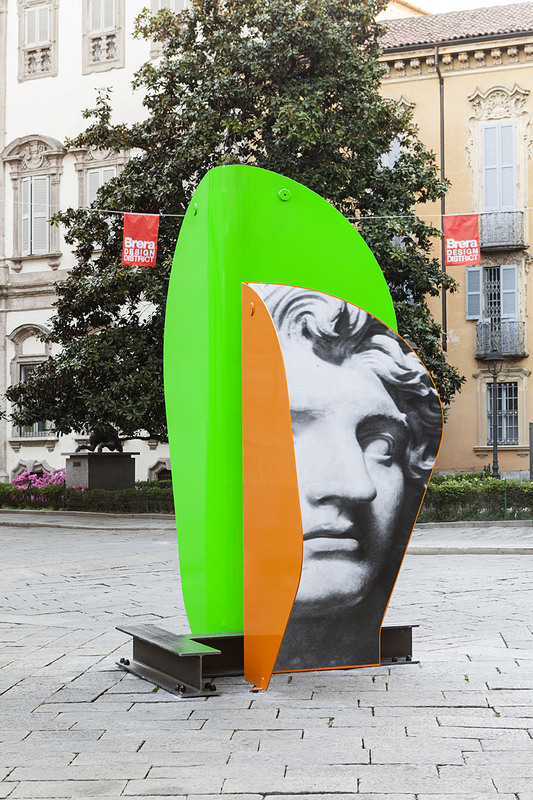 “… Mom, Dad” comes from the desire to analyze and articulate the last fifteen years artistic career by Tuttofuoco, through a sculptural gesture that encloses the main dimensions of his practice—from the investigation on the human face, to the study of classical statuary, to design culture. 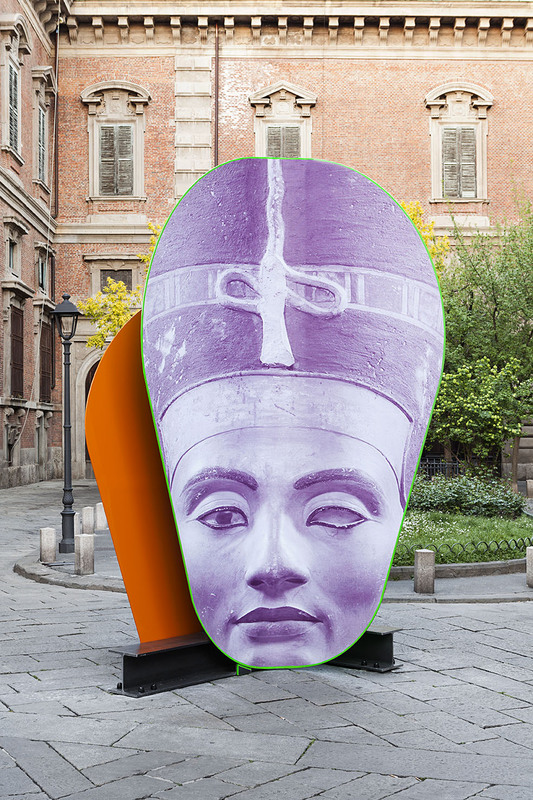 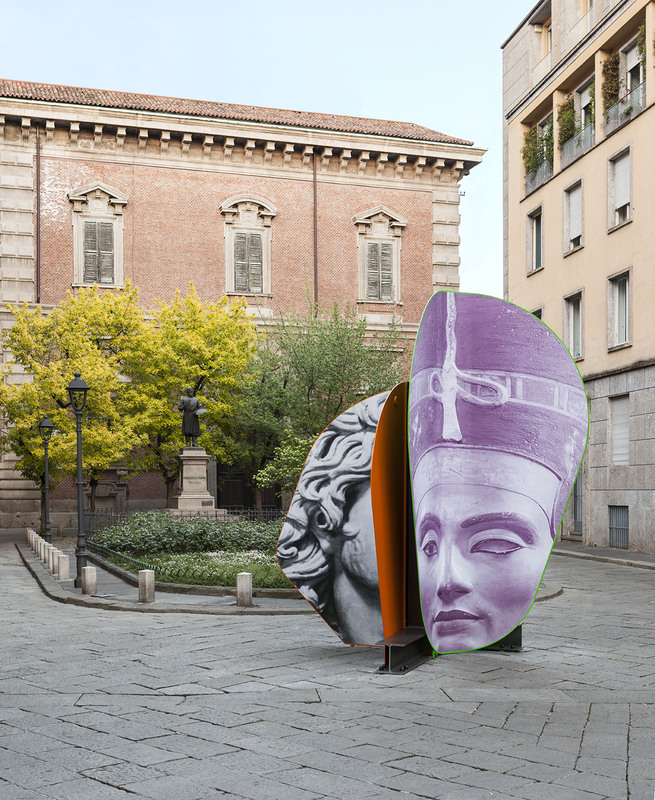 The new sculpture consists in two elements that reproduce the faces of Alexander the Great and Nefertiti, enlarged and printed on a steel frame that makes them concave and therefore “readable” only when viewed from within (an explicit invitation to enter the work). 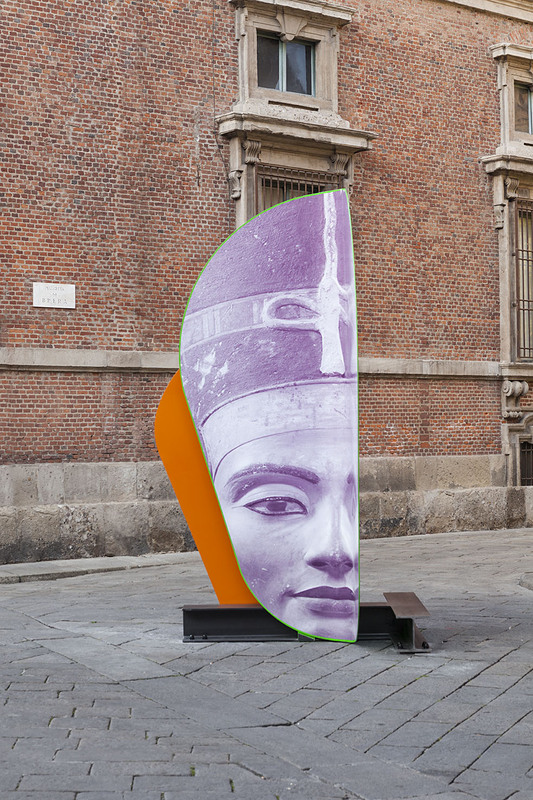 As a whole, “… Mom, Dad” looks like the photograph of a putative family, composed not only by the printed images, but also by the structure that supports them and which alludes to the design culture of which the artist is at the same time son and interpreter. 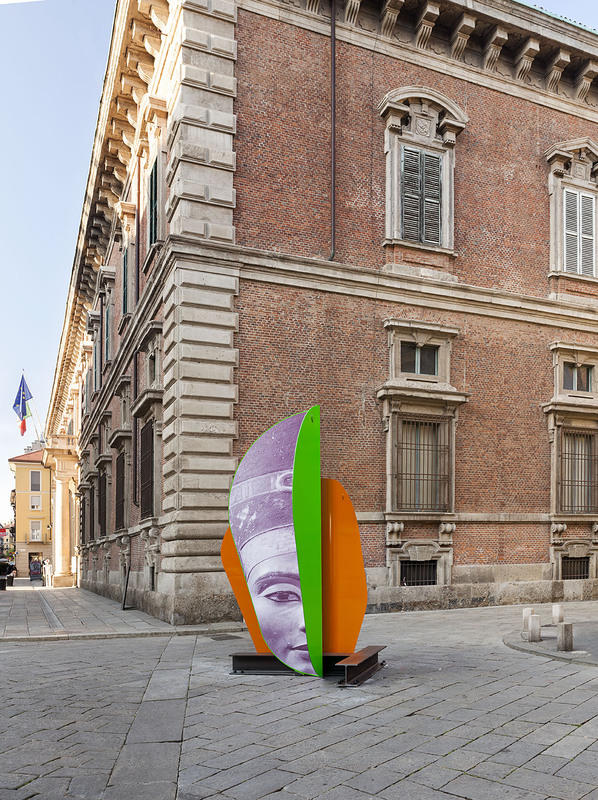 In the backdrop to this “family portrait” stands the Academy of Fine Arts of Brera, which has supported and sponsored the project together with Brera Design District.